Enzoani Stockist Hertfordshire based bridal boutique Karen Forte. Elegant, sophisticated, lovely. 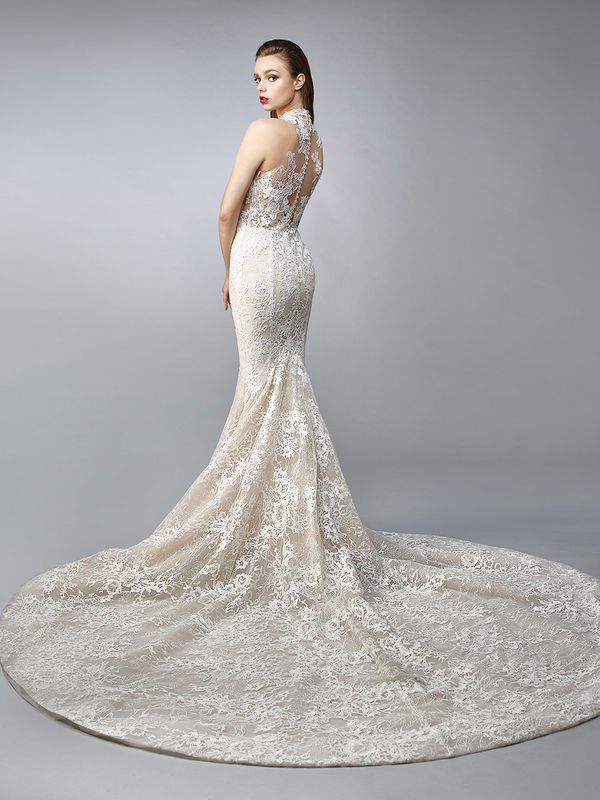 Norine is a full-length mermaid gown made with delicate embroidered lace. An illusion halter over sweetheart neckline adds an extra dose of classiness. Crystal buttons trail down the center of the back for a touch of sparkle.